Last week, I told you 5G was happening now. This week at MWC 2017, I had the great pleasure of seeing all of our progress come to life in a multitude of 5G technology demonstrations —including many pivotal demos from Intel and our partners showcasing amazing progress in 5G. This included the first public demo of live over-the-air interoperability between the 5G Intel Mobile Trial Platform and the Ericsson 5G Radio Prototype system demonstrated via autonomous driving and virtual reality technology use cases. Key milestones have been reached, or are within sight, across each area of importance for 5G, from new radio (NR) standards, to fixed wireless RAN enablement of pre-5G services, to the virtualization of the core network itself. All of which are critical, because 5G is an end-to-end play. There has been much talk around 5G as a historic inflection point, poised to bring seamless connectivity, massive computing power and rapid access to cloud resources to every person, thing and market. But when it comes to 5G, seeing is believing. 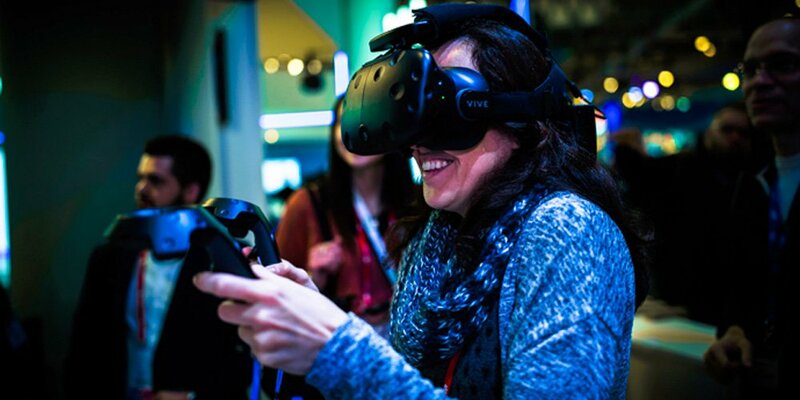 At MWC 2017, Intel brought to life how 5G will transform industries, launching new categories and business models in applications including automotive, smart cities, the smart and connected home, and entertainment. At the same time, Intel illustrated how 5G will change the way we interact with the world around us, bringing exciting and unexpected experiences to every part of our lives. At CES, we announced the new Intel® GO™ Automotive 5G Platform, which leverages the capabilities of our 2nd Generation Intel® 5G Mobile Trial Platform, 5G mmWave for V2X connectivity, and the Intel® XMM™ 7360 LTE modem for 4G fall back connectivity. At MWC, we showed it off live, in the first public demo of 5G 28 GHz over-the-air connectivity between the Ericsson base station and the Intel GO Automotive 5G Platform located in the trunk of a BMW 740i. It took several key partnerships to make this happen – from the client to the cloud – marking significant progress in the transition from advanced driver assistance systems to fully automated vehicles. Intel’s leadership in mmWave technologies was on display in the smart and connected home area. With Nokia we streamed high-resolution video over a fixed wireless connection, leveraging our Intel 2nd Generation Mobile Trial Platform’s 28 GHz capabilities. In our virtual reality demo zone, we showcased mobile edge computing, bringing the network as close as possible to the end user, using a live stream of the Nokia race track from the company’s Ozo camera. Our Intel 5G Mobile Trial Platform was also hard at work in our virtual reality zone, streaming 8K 360-degree video over the air via Ericsson 28 GHz eNodeB network infrastructure to not one, but two user devices for an exciting, immersive experience. These demonstrations were particularly notable because it’s anticipated that fixed wireless deployments in the home will be one of the first entry points to true 5G commercial availability – delivering rich media and entertainment at multi-Gbps speeds using ultra-broadband connectivity as a more efficient alternative to fiber. mmWave for enhanced mobile broadband (eMBB) and ultra-reliable low-latency communications (URLLC) isn’t the only area where Intel is innovating. Our smart cities demos tapped into Intel’s advancements in sub-1 GHz to shine a light on how the Internet of Things (IoT) will enable cities to get “smart” about infrastructure, public safety applications and conservation efforts. Intel was a key contributor to the development of the NB-IoT standard and has a comprehensive modem roadmap of low power wide area (LPWA) IoT solutions for smart cities, smart agriculture and smart industrial use cases. Some of our innovative partners revealed beautiful new 2 in 1 devices with Intel LTE modems inside. These PCs – Samsung Mobile’s Galaxy Book 10.6- and 12-inch 2 in 1s, and Lenovo’s detachable 2 in 1, the Miix 320 – offer the fusion of versatility, performance and connectivity that represents a strong step toward our connected future. While there was plenty to take in at Intel’s booth and in the demos, some of the most exciting developments were achieved with our partners. Intel and Partners Are Collaborating to Promote a Unified 3GPP Standard for 5G: AT&T, China Mobile, NTT DOCOMO and Vodafone with Intel, Ericsson, Huawei, Keysight, Nokia, Qualcomm, R&S and ZTE have announced a joint commitment to promote a unified 3GPP standard for a global 5G ecosystem. Intel and Partners Have Committed to a Work Plan for Non-Standalone 5G NR in 2019: AT&T, NTT DOCOMO, SK Telecom, Vodafone, Ericsson, Qualcomm, British Telecom, Telstra, Intel and more will support a work plan proposal for the first phase of the 3GPP 5G NR specification. This new proposal will enable specific 5G use cases one year in advance of when official Rel-15 5G NR deployments are expected. Intel and Spreadtrum Have Launched a New 14nm Mid- and High-End SoC Platform: Spreadtrum announced a new 8-core 64-bit LTE SoC platform based on Intel Airmont architecture and developed on Intel’s 14nm process technology for powerful mobile computing performance. This solution for the global smartphone market underscores the flexibility discrete modem solutions deliver in terms of product performance and feature set differentiation. Intel and Nokia Announced 5G Fixed Access Availability with Nokia 5G FIRST: Comprised of Nokia’s radio access network (RAN) and the 2nd Generation Intel 5G Mobile Trial Platform, Nokia 5G FIRST will use the Intel® 5G modem to deliver fixed access ultra-broadband wireless connectivity – allowing operators to rapidly address growing residential and business data demands. The first deployments are expected as soon as the second half of this year. Intel and AT&T Are Launching a Residential and Business 5G Entertainment Trial: AT&T and Intel are launching a second 5G market trial in Austin, Texas, allowing residential and small-to-medium business customers to stream DIRECTV NOW and access next-generation entertainment and enhanced broadband services. Based on the 2nd Generation Intel 5G Mobile Trial Platform, and introducing our 39 GHz RFIC, this trial will incorporate key learnings from its predecessor to accelerate the commercial availability of mmWave-capable 5G solutions. Intel, Ericsson and China Mobile Announced the First Interoperable Cellular IoT-Based Factory Trial: Intel is working with Ericsson and China Mobile to deliver cellular IoT and Industry 4.0 interoperable connectivity in a factory setting, leveraging the Intel® XMM™ 7115 NB-IoT modem. This ongoing trial will provide key insights into how 5G solutions will enable manufacturers to improve efficiency and reduce risk in complex environments. Intel and Partners Announced a New Multi-Vendor NFV Laboratory Initiative: Atos, Dell EMC, Intel, Juniper, Red Hat and VMWare are teaming up in a new NFV Laboratory Initiative to assist operators with the transition to virtualized environments and accelerate the delivery of business value. The group has designed a new solution using commercial off-the-shelf servers based on Intel® architecture for “Day 1” deployments. Intel is collaborating with leading partners across the world to define, prototype, test and deliver the early 5G standards and solutions that will enable a smart, connected society. I see the demonstrations and announcements at MWC 2017 as proof positive that the pieces of the 5G puzzle are coming together in real time to support a new generation of services and experiences. 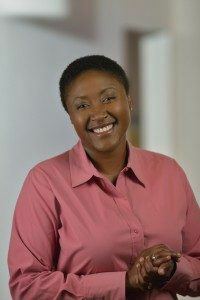 Aicha Evans is senior vice president and general manager of the Communication and Devices Group at Intel Corporation.